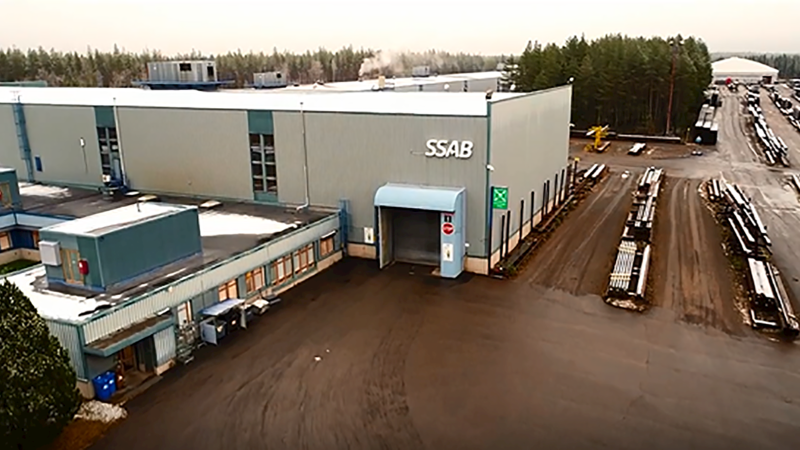 SSAB’s Pulkkila plant manufactures steel tubes and steel profiles for the construction industry and other uses. They recently launched a development program to modernize four piping plants in Finland and to increase production volumes, including a long-term occupational safety and productivity development program for the entire Pulkkila plant. Part of the program involves boosting the safety of the plant’s power supply and minimizing production risks, something they have called on the experience of ABB to deliver. The worst scenario in a heavy industry like a steel plant would be an arc in the main switchgear and control gear. The temperature in the center of an electric arc can be as high as 20,000 °C, and the pressure and temperature created by the arc can be lethal to anyone nearby. In the event of an internal arc, conventional protection devices would cut off the power supply after a few hundred milliseconds. This would not only cause serious damage to the main switchgear and control, but also severe personnel injury. Additionally, damage to metal structures due to melting and cable fires could result in long-lasting disruption to production. To improve safety and reduce the risk of arching, elements of the main switchgear and control gear were replaced, while other components in good working order were maintained. The main switchgear and control gear are now fitted with a new high-speed power cut-off system and arc protection, as well as ABB’s UFES, which eliminates an arc in less than four milliseconds after detection. This creates a three-phase short-circuit to earth through the use of a small explosive charge inside the switch. “At the Pulkkila plant, we were able to maintain the current legacy ABB switchgear and control gear and eliminate the risks with the aid of state-of-the-art technological devices,” reported Sales Manager Jari Salomaa from ABB in Finland. Rapidly eliminating arcs reduces risk to personnel and equipment and cuts the potential production downtime from weeks to just hours. “Now we are confident that the most important equipment in our power supply system will not put users at risk of injury. It also ensures that if a fault develops, there will not be any major disruptions in production,” said Plant Manager Kari Salin from SSAB’s Pulkkila works. According to Salomaa, there are hundreds of similar industrial sites in Finland, and many more around the world. Many power distribution systems built in the 1970s and 1980s are not yet at the end of their service life and they can be refurbished to have operational safety and reliability near the level of the latest switchgear and control gear. Another advantage is that updating older equipment involves much shorter production downtime.